Didcot skatepark is an all concrete park that can be found in the fields next to the leisure centre. It was revamps and updated in 2011 and now consists of a mixture of street and transition elements arranged in a back and forth set up. 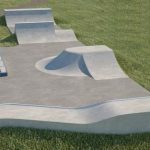 On the back side of the skatepark there is a small park back and forth area that is made up of a hipped quarter pipe facing another quarter pipe with a jump box between the two and off the hipped side comes a mini ramp. Next to this section is the street area that takes form in a plaza style section starting with a flat bank with extension and adjoining quarter pipe. These open up into a funbox with hubba, ledge and rail and on the other side is a 2 tier ledge as well. Following on from these is a raised level with a flat bank leading up to it with a stair set, rail, euro gap and hubbas inset. 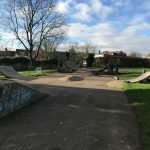 Didcot skatepark is a great local park and with a wide selection of obstacles and lines to take. It has been well designed considering the available space and the surfaces are smooth as anything. There is something here for everyone of all abilities and you should check it out if you are in the area. Didcot train station: Exit Didcot station onto Station Road and head east until Cow Lane. Here turn left onto this road and after the bridge turn left into the park and Didcot skatepark will be in sight. Ladygrove Primary School bus stop: Exit the bus onto Avon Way and head south crossing over onto Bowmont Water. 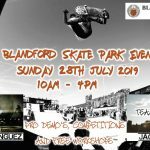 Didcot skatepark will be in the fields behind the leisure centre. 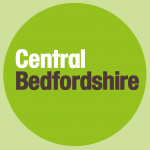 There are no on site toilets but there are free to use facilities nearby in the leisure centre.